Tylenol (Acetaminophen) is one of the most commonly used medications in the United States and can be purchased over the counter without a prescription. Even so, patients using the medication should be aware that there is a large range of Tylenol side effects to look out for like liver failure, stomach upset and other gastrointestinal issues. Although these side effects are mild in nature, if they become bothersome or persist for more than a few hours, patients should stop taking Tylenol and immediately report them to their physicians. Overall, Tylenol has little to no side effects when used in small doses for short periods of time. These side effects are generally only reported by patients who regularly use Tylenol to treat chronic conditions. Patients who display any of the symptoms of an allergic reaction should seek immediate medical care from an emergency room or paramedics. Failure to get help right away can result in long-term complications or even death. Always take Tylenol as directed to avoid these serious side effects. Patients who take Tylenol should be aware that a host of other over the counter and prescription medications may also contain Acetaminophen and taking these medications together can lead to serious side effects, accidental overdose and even death. Patients should carefully read the labels on any cold and flu medications as well as prescription pain relievers in order to determine whether or not they contain Acetaminophen. Certain allergy medications and sleeping remedies may also contain Acetaminophen; patients should provide their doctors and pharmacists with a complete list of medications they use for help in determining which may contain Tylenol. 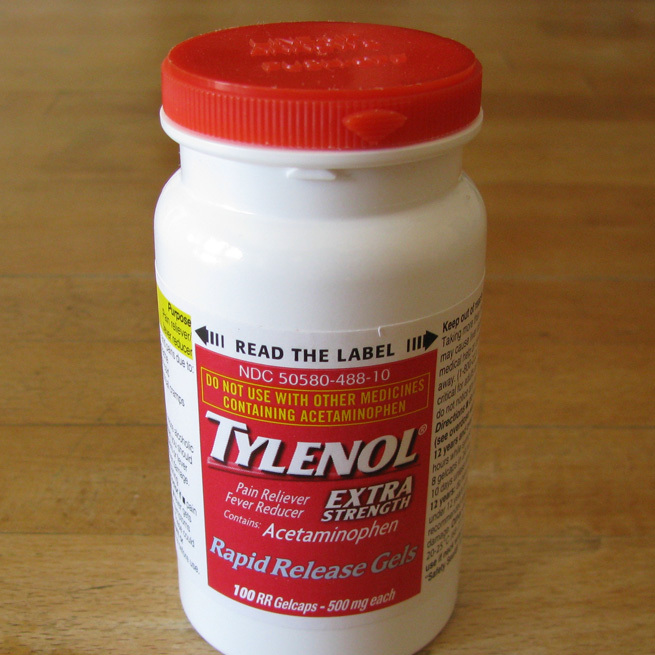 When given in the proper doses, Tylenol has not been shown to cause harm to babies and children. Children under the age of two should not be given Acetaminophen unless directed by a doctor; the correct dosage will be determined by the nature of the illness and the weight of the child. There are two forms of Tylenol available to children: liquid suspensions and chewable tablets. Caregivers should follow dosing instructions carefully in order to avoid accidental overdose and the incidence of serious Tylenol side effects. If an overdose is suspected, caregivers should call their local Poison Control centers or paramedics immediately. While Tylenol is one of the most commonly used medications in America and is generally considered mild, it can be dangerous if it is not taken correctly and according to the instructions on the packaging. In order to avoid the more serious side effects of Tylenol, patients should use the medication with care and never take more than is recommended.